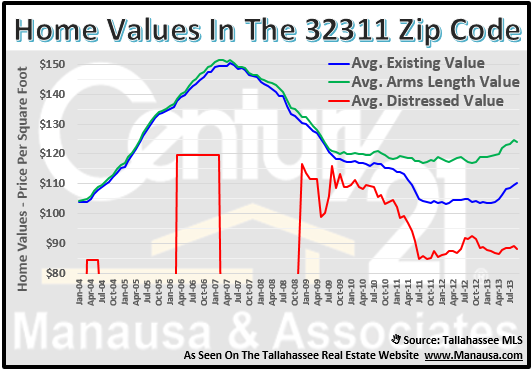 At the close of the third quarter of 2013, it is great to report that home sales in the 32311 zip code continue to rise. 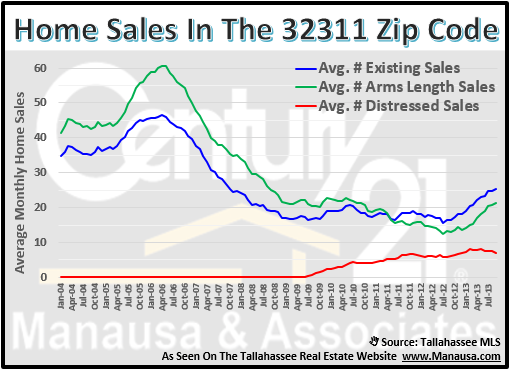 Home sales in the 32311 zip code have been accelerating since the the middle of 2011 (up 56%), and the number of distressed home sales reported have shown declines in the Tallahassee MLS. While both of these statistics are excellent news, we continue to keep a diligent watch so that we can provide the most accurate guidance for home valuations in the 32311 zip code. Currently, there are 220 homes for sale in the 32311 zip code. 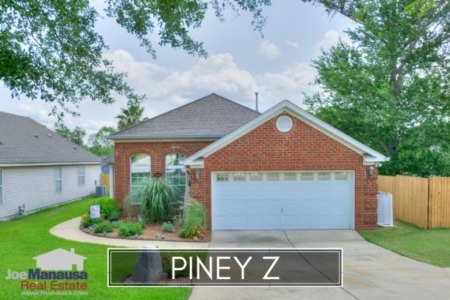 Thus far in 2013 (through late September), there have been 263 homes sold in the 32311 zip code at an average price of $207,000 (which is an average home value of $116 per square foot. The average home size of those sold in the 32311 zip code this year is 1,779 square feet. 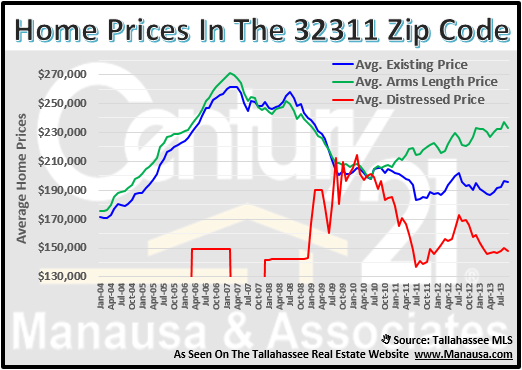 The average price of a home in the 32311 zip code has been rising steadily (green line shows arms length home prices), and the current trend has pushed arms length home prices above $230,000. 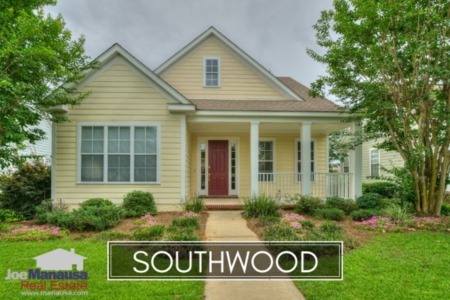 The average arms length home value in the 32311 zip code is $124 per square foot, which is up 6 percent from the "floor" that was recorded in September of 2012. The following map shows all of the homes for sale in the 32311 zip code. Simply hover over a marker and a picture of the home will appear, as well as limited information on the home. If you want to know more about the home, simply click on the picture and the entire detail page will be revealed. I hope you were able to learn something from this 32311 Zip Code Home Sales Report, please drop me a note if you have any other questions or concerns that I can help you with.